Ashley was such a stunning bride! We loved her taste from her romantic up-do to her designer wedding gown all the way down to her shoes and her hot pink nails! 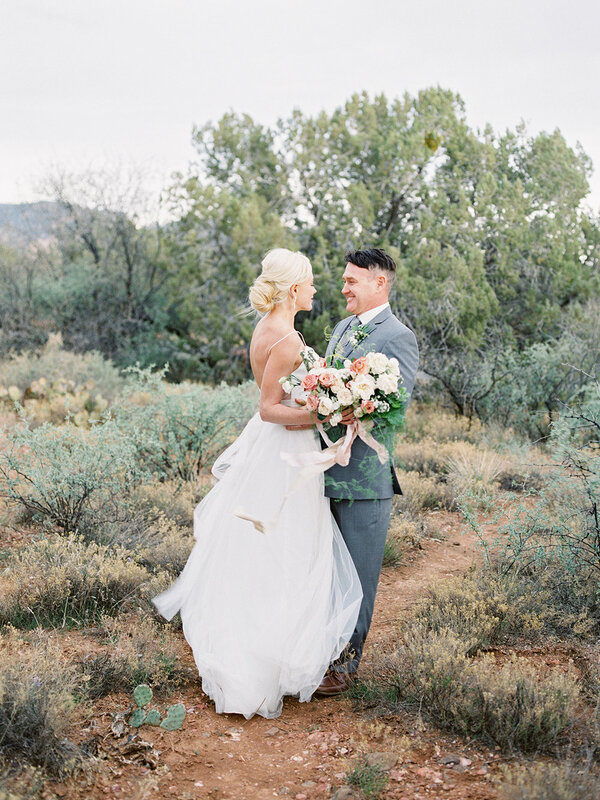 We are so honored to have been a small part of this special elopement in Sedona last summer. 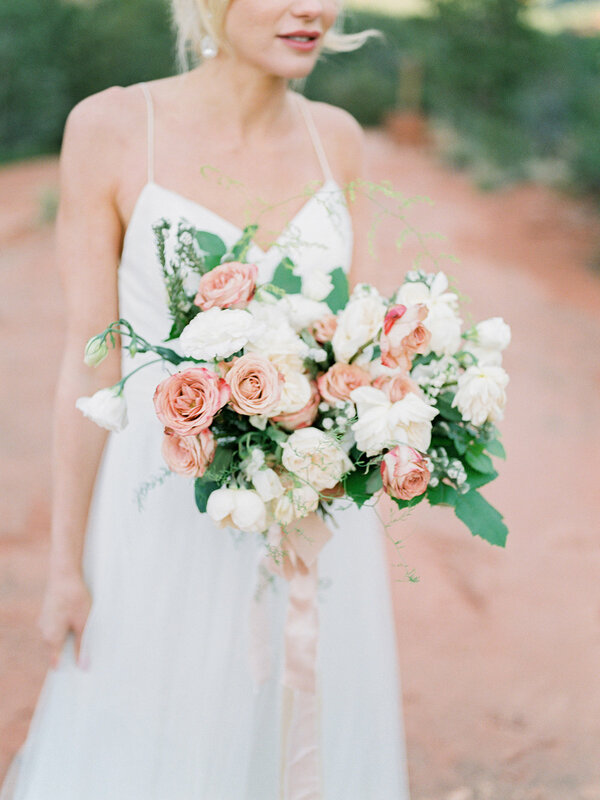 Ashley’s color palette for the bouquet complimented her environment of red rocks beautifully and made for a classic accessory to hold. The weather was warm and the wind picked up but it didn’t stop these two from sharing their vows and later celebrating the night away.